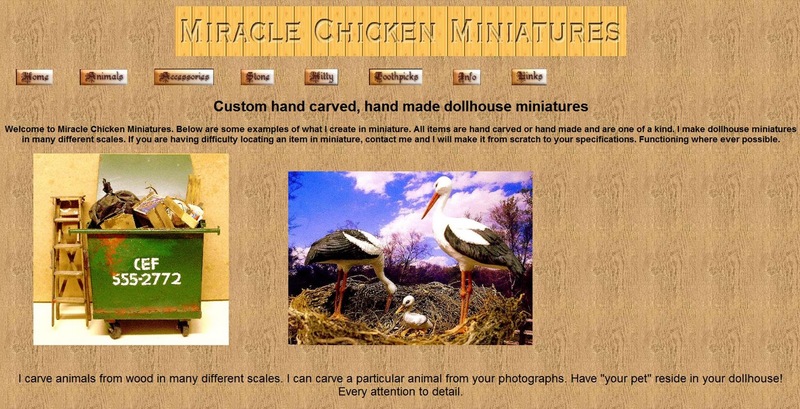 The Artisans in Miniature Association is delighted to introduce to you the new website from the award winning miniature wood carver Linda Master! Linda expertly creates hand carved miniatures and can even carve a replica of your very own real pet in many different scales. Along with miniature art for dolls houses, drawings and paintings, matted and framed, elegant stone carvings, Hitty dolls and fabulous hand carved toothpicks and matchsticks… Linda’s talent and attention to detail is outstanding! Visit www.miraclechickenminiatures.com to see what Linda has to offer and to be amazed!